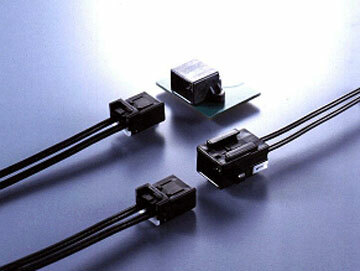 MX25 Series | Japan Aviation Electronics Industry, Ltd.
Board-to-Cable/ Cable-to-Cable(relay) application. Rated frequency is max. 6GHz (Cable-to-Cable type) and V.S.W.R. (Voltage Standing Wave Ratio) is max. 1.5 Mechanical lock system enabling complete mating. Mechanical lock system to withstand vibration and tension, and enabling blind mating with a click. Double hook mechanism to prevent contacts from being inserted or removed incompletely. Socket side outer contact is designed with double retention system, with housing lance and retainer. This avoids dislodging of contacts. Shape of the central contacts are box-shaped and they are external pressure resistant type. Protected lock lever. Relay connector that is possible the mounting to the chassis easily. Nylon clip and metal bracket can be attached to the pin housing Flange installed on both sides of the connector. Highly reliable contacts. Simplified crimp-type termination.